Although glasses are often a lower maintenance choice, many people choose to wear contacts for comfort or aesthetic reasons. Whether you are nearsighted or farsighted, contacts are a safe, easy way to correct your vision to 20/20. With a variety of options to choose from, getting contacts may seem confusing. Consider your options and consult with your optometrist to find a great brand that works for you. There are two major types of contact lenses -- hard and soft. In the United States, soft contact lenses are the most popular. Unless you specify otherwise or have a particular eye condition, your optometrist will likely recommend soft contacts. Soft lenses, made of a plastic and water compound, conform to the surface of your eye. They tend to be very comfortable and allow oxygen to reach your corneas. If you’ve tried soft contacts and had challenges, your eye doctor may recommend hard contacts. As their name suggests, these lenses are more rigid, made of a flexible plastic. 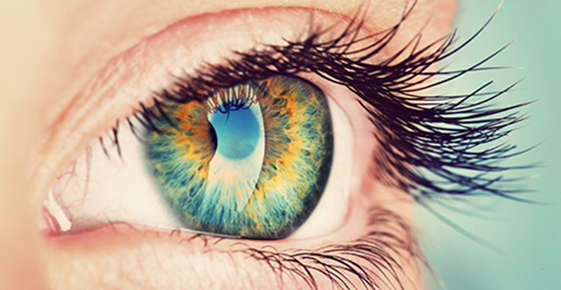 Hard contacts tend to be more breathable, allowing oxygen to reach your corneas. This reduces your risk of eye infections. However, hard lenses must be cleaned every day and may cause discomfort upon initial use. They may also slip from the center of your eye, leading to blurred vision or discomfort. When choosing a type of contact lenses, you must carefully consider your typical routine. If you tend to be forgetful or don’t like the hassle of cleaning lenses every day, extended wear soft contact lenses may be best. These contact lenses can be worn day and night, although you must clean them at least once per week. Extended wear contacts are moderately priced, but they can increase your risk of eye infections. Daily wear contacts, on the other hand, must be taken out each night to be disinfected. Daily wear contacts tend to be inexpensive and easy to use. If you only wear contacts occasionally or don’t like to worry about cleaning them, disposable contacts may be best. These contacts can be worn during the day and discarded each night -- no cleaning required. If you have a unique condition or need, there are other specialized lenses available. For example, hybrid lenses combine the features of both hard and soft contacts. People with an abnormal corneal shape or those who have difficulty tolerating hard lenses may like hybrid lenses, which have a hard center with a soft periphery. Another popular specialized lense type is tinted lenses. Whether you want to alter your natural eye color or need to enhance your color perception, tinted lenses may be appropriate for you. Discuss tinted lenses with your eye doctor to ensure that they are safe; some costume lenses may be dangerous for your eyes. Contact lens manufacturers continue to come out with new features, including improved breathability and comfort. Discuss your routine and needs during your next optometry exam to select the perfect pair of contact lenses to improve your vision and fit your lifestyle. American Optometric Association (2012). Advantages and disadvantages of various types of contact lenses. Mayo Clinic (2012). Contact lenses: What to know before you buy.